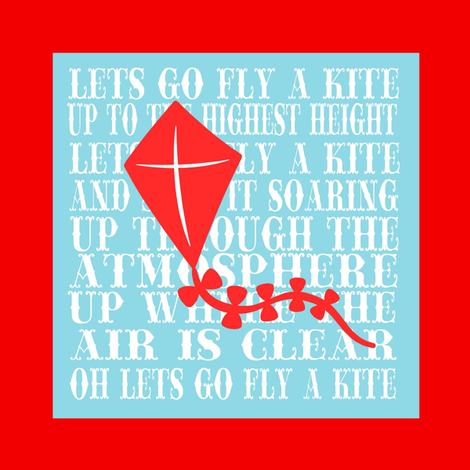 “Let’s Go Fly A Kite!”…and Other Logistical Nightmares | Y'all Behave! As a Supernanny, Fun is my middle name. (Actually it’s Annemarie, but for my purposes as a caregiver, we’ll go with the former.) When the kiddos have some activity in mind that they are excited about, no one is more excited than me- one less adventure for me to invent, and takes the guesswork out of the day’s activities- plus I love seeing them pumped and primed for an outing! However, just as the road to hell is paved with good intentions, so is the road to some escapades paved with catastrophe! One such episode happened with Mr. Man and Big Cat, back when they were 5 and 3. I arrived to their house on a blustery day, and they were giddy and giggly about something. They kept it clandestine for all of about thirty seconds before bursting out that they had been gifted with kites over the weekend! Mr. Man’s was a Cars kite, think Big Cat’s might have been Winnie the Pooh, how fitting! They were dying to go to the park to fly them. When could we go? Could we go? “Sure!” I said. Why not? What could go wrong? So we piled into my Jeep Grand Cherokee, listening to “Let’s Go Fly a Kite” from Mary Poppins on the way, and headed for the park. We set up shop on the outskirts of the playscape area where there was a small field sparsely bordered by trees and benches. Seeing that it was very windy out and that they would be tempted to chase the kites into the street, I laid down some ground rules, no pun intended. “Boys, it’s very windy out today, so to start off we’ll fly them one at a time, and make sure you stay in the grassy part no matter what. Past the benches is too close to the street. I’ll unwrap them and, Mr. Man you go first. Ok?” to which they nodded and replied, “Yes, Miss Cheryl!” No sooner had I turned my back to hand them the string handles when they both threw their kites in the air, and off the kites went! The wind had lifted both and was carrying them toward the trees around the playscape. “Dudes!” I exclaimed, exasperated but not entirely surprised. I picked both boys up and chased the kites as fast as I could. Bot not fast enough. Both kites got caught high up in, of course, the biggest tree by the playscape. Argh. I tried pulling them by the strings, but they were stuck, and I could see where. The Cars kite’s string had snagged about one foot up the first tree branch, the Pooh kite, luckily tangle free, was just stuck a bit higher. It could have been worse. I’ll just shimmy up the tree and untangle one, knock out the other! No prob! Except that this particular tree’s branches didn’t start for at least six feet up. So this is how I found myself Grizzly Bearing it up the tree, my only relief was that, as it was a cold day, I had on a sweatshirt and jeans, so I didn’t skin my arms and legs. As the boys watched, mouths agape, I untangled first kite and dropped it down, then lifted the other out, and dropped it as well, before basically plummeting out of the tree, myself. “Sorry, Miss Cheryl!” they both said as I dusted myself off. I wound the strings onto their handles, ushered boys towards the playscape, and said cheerfully, “Welp, I sure hope you guys had fun flying kites, cuz we’re never doing this again!” Now never is a long time, maybe just until my bruises fade. Another daytime debacle happened with Doc and Rebel. Now, I love walks- I would walk inside, outside, alone, with a pal, I love to walk. So Doc, Rebel and I venture around the block on a regular basis. Recently Doc became the owner of an even smaller than the real deal Mini Cooper. It runs on battery and is super spiffy. Doc looks so sharp in it. A motorized mini car for him to ride in on our walks- what could go wrong? Well about halfway around the block, the motor peters out. The car, although tiny, is way to heavy for Doc to push, and it’s a 90 degree day so I set Rebel down, I’d picked him up by this point, and get ready to push the Mini home. On this particular day Rebel is uncharacteristically fussy and starts screaming like a banshee anytime his little bottom touches sidewalk. So this is how I find myself, picking up Rebel, sprinting him two houses up, setting him down, he wails and carries on while I run back to Doc, push Doc in the Mini up to Rebel. Pick up Rebel, sprint him two more houses, leave him shrieking as I run back to Doc, push Doc in the Mini up to Rebel, rinse and repeat for the rest of the way around the block until we get home. Now I’m sure this is not my last Mini disaster, and I’m prepared to do it all again, but I gotta say, that little car is a lot less cute half a block in. Ahh!! The perils of a nanny! !